When is The Last of Us: Part II coming out? People seem to be split on whether the hotly anticipated sequel will be arriving this year or next. Rumours and hearsay have suggested a 2019 release for Naughty Dog's latest, but it's almost impossible to call it one way or the other right now. 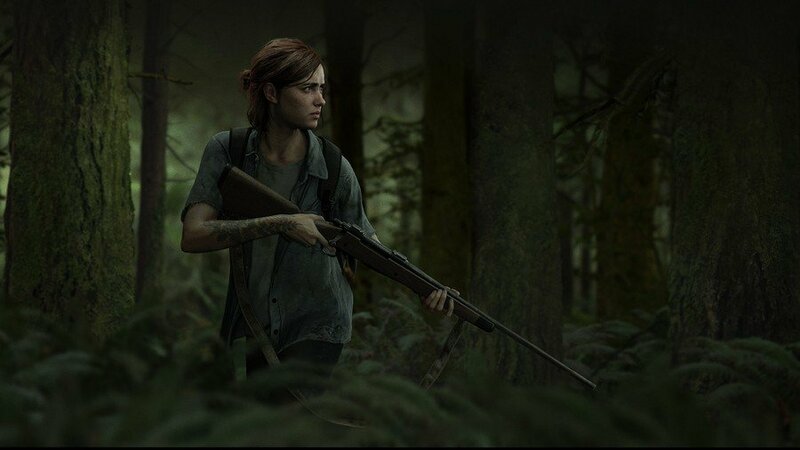 The latest hint that the game will launch sooner rather than later comes directly from Gustavo Santaolalla, the composer for both The Last of Us titles. During a live concert, the musician told the crowd he'd be playing some of his work from the original game, but also from The Last of Us: Part II, which he added "is coming very soon." Some have taken this to mean it's launching in 2019, but realistically, "very soon" could mean more or less anything. The composer has obviously been working closely with Naughty Dog, but we don't really know how much insider information he'll have on things like release dates. What do you think? Is The Last of Us: Part II arriving this year? Is Santaolalla simply playing the crowd, or does he know something we don't know? Let the speculation continue in the comments below. Big projects last for years. "Very soon" in context could easily mean a year. 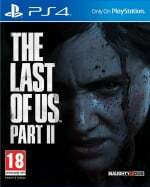 I'm guessing TLoU II will be along in late 2019 or some time in 2020. Hmm,maybe that leaked date from amazon.it a while back is true for march 29. Its not this year, i would say spring 2020. Be a surprise announcement on 1st April and no one will believe it. Please Sony make it ps5 launch title this game will be so much better next gen console. I happen to know the exact date of release. I'll tell you all very soon. 2019 has been hinted too many times, while its obvious that Ghost Of Tsushima is in 2020 with PS5. I wish the game would come tomorrow. No release date seems soon enough! to be fair, god of war and spiderman had their release dates announced with only 3 months to go. or maybe he literally meant that a little bit of his work from the last of us ii will be coming soon.. perhaps a few tracks from the soundtrack will be available for people to listen on spotify or whatever. "very soon" in gaming terms could be years away! I'm hoping for this year, but I'm betting on next year. I think this is gonna be the PS4's swan song. Agree that coming soon could mean any time. But as it's only January and most any sane person would hear coming soon and think of a time frame of 12 months or less that's 2019, unless you think January 2020 is a good time. And as others have alluded Days Gone is a thing. They can't risk announcing the release date for TLOU2 until after that has some time to sell. Once that gets dated it will be in the news cycle 24/7 drowning out DG. And it's not like TLOU2 needs a long lead time. Have a big blowout in June, release in Sept/Oct. That'll work. I'm cautiously optimistic that it will come in 2019. However I thin k GoT should come out soon as well, since Sucker Punch haven't released a game since 2014. Man, although they have nothing (well, not fundamentally at least) in common, I hope TLOU2 is not announced for this year and not announced before Days Gone is out. More and more things are starting to suggest it will be this year. I guess technically pre-production would have started in late 2013 early 2014, so maybe it is possible? Yea, the PS5 is coming 'soon' too. Time is relative. With that said, I don't know why some think a release this year is out of the question, it's been in development for a while. This can't be for nothing. Tail end of this year, I reckon... maybe in time for Christmas. Then probably some firm PS5 news in the first 3 months of 2020, with a launch around November. @Badboyfx86 I say no. Ghost of..... will come out this year! Still think it could be this year, but wouldn't bet the house on it! It's easily my most anticipated game, but I'm in no rush for it. If it's next year, then so be it. Retailers say it's coming this year. Apparently, Animal Crossing has a placeholder date and the guy from GameStop said it can come sooner. So, there's no real reason not to believe it won't come this year. He says, the musician told the crowd he'd be playing some of his work from the original game, but also from The Last of Us: Part II, which he added "is coming very soon." Which I think he means the piece of music will be coming soon more than an actual game.